Previously known as Roulette-tv.co.uk the site owner is proud to announce it has switched its web site address to the newly acquired www.roulettetv.co.uk domain. 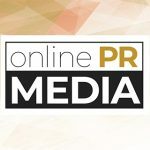 Online PR News – 10-July-2012 – London – Previously known as roulette-tv.co.uk the site owner is proud to announce it has switched its web site address to the newly acquired www.roulettetv.co.uk domain. The domain name change should help fans of these UK gambling games find and remember the website with greater ease. Probably the most well recognised casino game, roulette attracts plenty of players to the table and in the UK it also attracts players to the television. Roulette games in the UK currently air on television for more than 30 hours a week on free-view channels and run twenty fours hours a day on sky channels. The site has been providing its visitors with informative and reliable reviews and news since 2008 using the hyphenated domain name, however after recently acquiring the domain unhyphenated version www.roulettetv.co.uk the owner has decided to switch domains. The relocation of domains from old to new went smoothly and only caused the site to be offline for a few minutes, the owner Andrew said he was glad things went smoothly and he looks forward to seeing if there are any increases in traffic. Anyone who had bookmarked the old address will not be left in the dark as it redirects them to the new one. Other improvements to the new site include a major reorganization of page structure and template design. Featuring reviews of the UK focused roulette game show providers the website includes reviews of each site offering information about the games on offer along with the bonuses attached to each sites new sign up promotions.